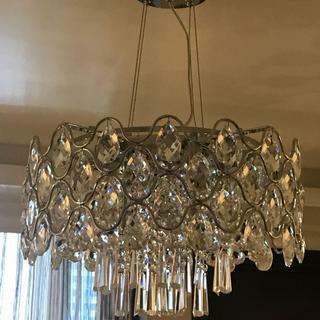 Bright halogen lights add sparkling shine to this clear crystal chandelier. The Angotti collection features beautifully fluid chandelier frames decorated with elegant clear crystal beading and strands. 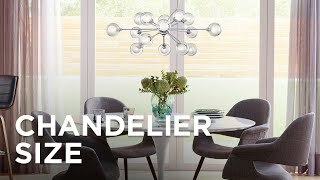 This nine-light version is offered in a chic round form that is ideal for installation over dining tables, entryways, and more. A sleek chrome finish and halogen lights ensure a bright sheen any time this fixture is illuminated. 19" wide x 12 1/2" high. Canopy is 6" wide x 1 3/4" high. Weighs 21 lbs. 9-light round chandelier. 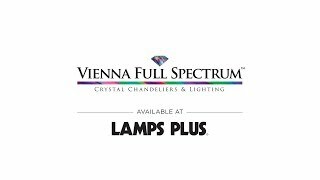 From the Vienna Full Spectrum brand. Chrome finish frame and canopy. Elegant clear crystal accents. Love the crystal and right size. Perfect for transitional decor. Will add good ambient light to the room. Is this compatible with a dimmer? Yes, it is. Mine is connected to a dimmer switch. Yes it is, you will love this very pretty light. Do you sell the dangling piece separate? BEST ANSWER: No, the crystals are not sold separately. 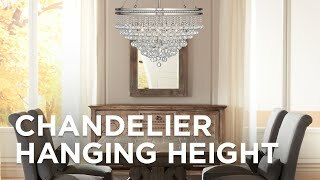 can this chandelier be mounted to ceiling as well? BEST ANSWER: The cord and wires are all adjustable. Therefore, although you cannot install it completely flush, you can shorten the cables and mount it fairly closely to the ceiling. Can i use LED G9 lights instead of halogen on this fixture? BEST ANSWER: Yes, the light is compatible with Led bulbs. I have included a compatible LED bulb. What is the closet I could mount this to the ceiling? BEST ANSWER: You can hang the fixture as close to the ceiling as the wires will allow for the fixture to be balanced. The previous customers have given some good recommendations regarding hang height. 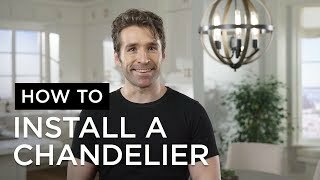 I will be happy to email you a copy of the installation instruction for the fixture. 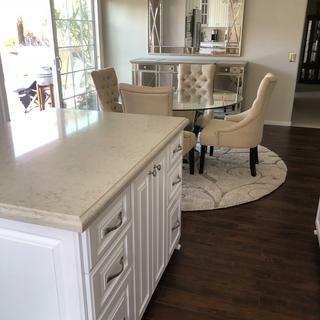 You can probably mount it 2 inches from the base, but you will have to shorten the cables and electrical wires by cutting them. Thank you for your response. Do you adjust the cables at the canopy or at the light fixture? Is the a pdf of the installation you can send me? 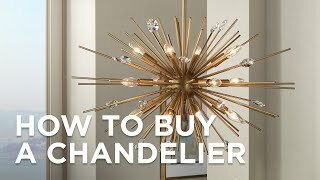 Love this fixture but want to make sure I can install it properly. 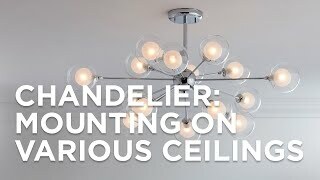 You can have your electrician adjust how close you want to the chandelier to your ceiling. 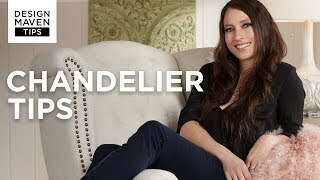 Does this chandelier have a plug for the wall? BEST ANSWER: No, it does not. But you could have an electrician wire it with a plug. No, it must be hard wired to a switch. Arrived in excellent condition, well packaged. Easy to mount and assemble. An extra of each crystal set provided. Showed many to my wife for her to select from after she loved this one in the store and she was sure this was the one. Perfect for our room, absolutely beautiful. 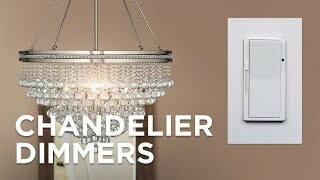 Have it linked to Lutron so we simply say "Alexa turn on chandelier." Take a look at the pictures I've provided. Gorgeous piece! I've got so many compliments on it. I am still in shock at how stunning this light fixture is. 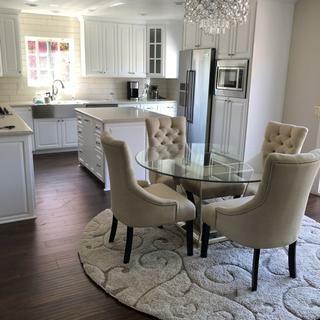 The picture doesn't do it justice and the warm, crystal glow from it dressed up a drab dining room space. We have an open floor plan and are using lighting to define the spaces and this formalized one of our eating spaces. I don't want to turn it off it is so beautiful!